The basement of the Assembly Rooms houses the Bath Fashion Museum. 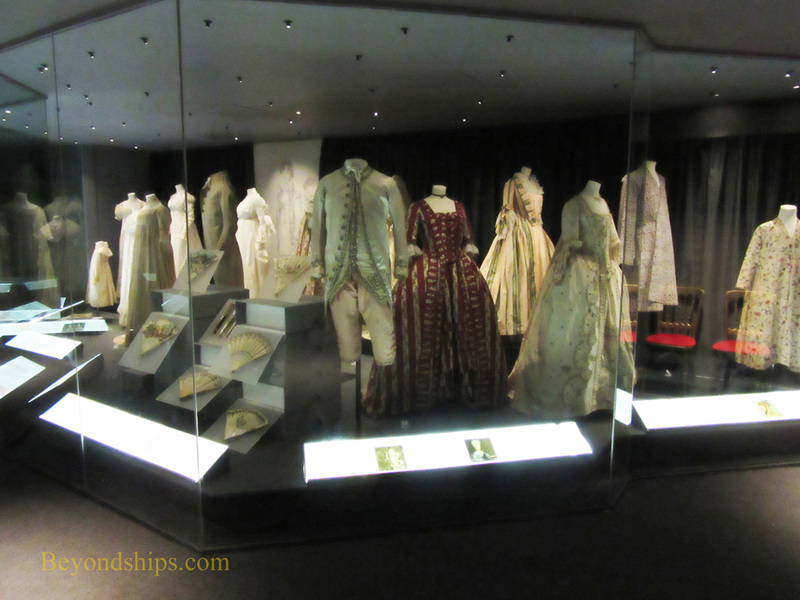 It documents the history of fashion from the 17th century to the present and has been called one of the top 10 fashion museums in the world. 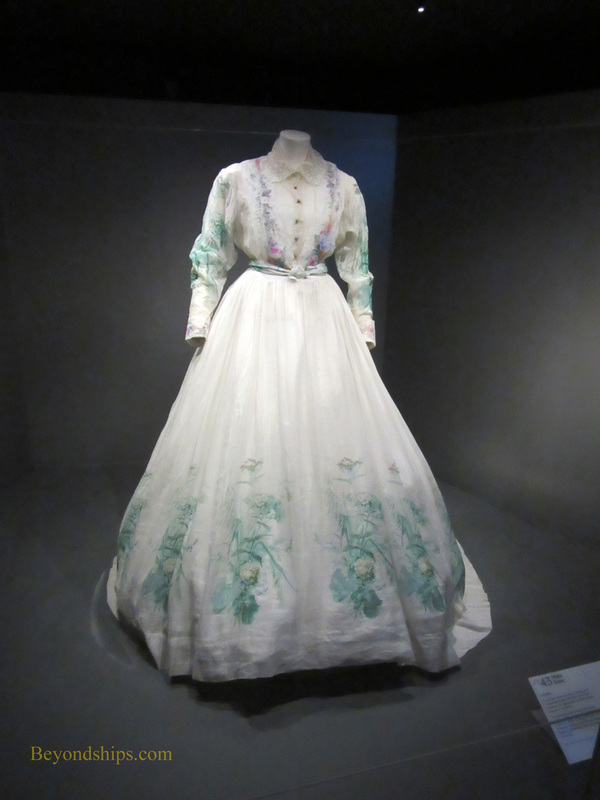 Originally called, the Museum of Costume, the Fashion Museum traces its origins back to 1963 when Doris Langley Moore donated her collection of some 30,000 objects to the City of Bath. 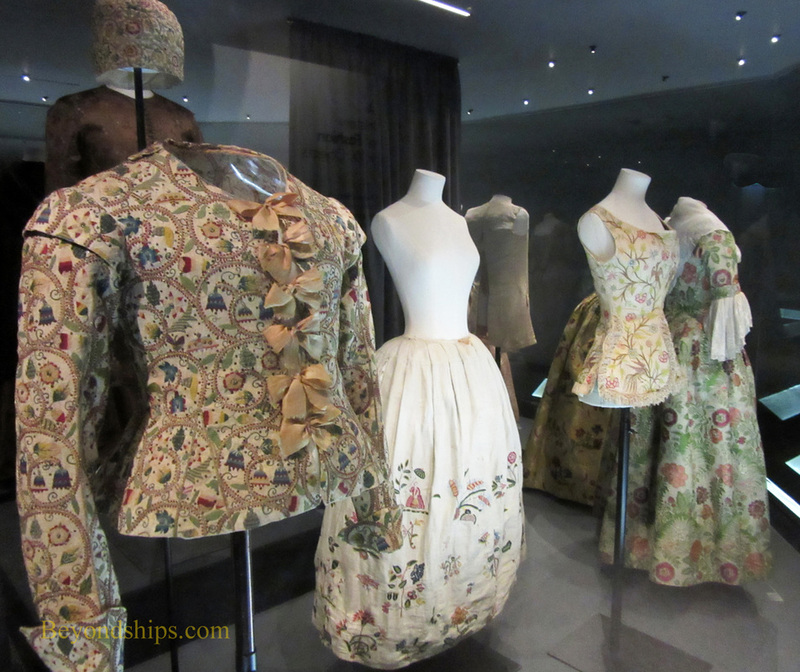 The museum's collection has since grown to 100,000 objects and includes clothing worn by men, women and children. The museum's exhibit space includes several large rooms. Inside the large display cases, the clothing is displayed much like in a department store window so you can get an idea of how they would have looked when they were worn. The exhibits have themes and change over time. People who want to see more of the collection can arrange to do a study session beforehand. 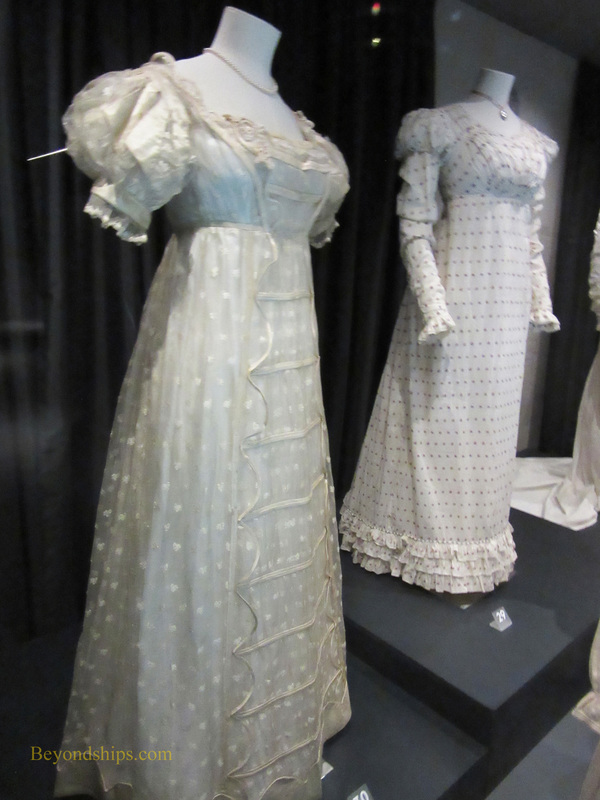 In addition to the exhibits, the Fashion Museum offers activities For example, there is an area where both adult and child visitors can dress up in replica Georgian and Victorian outfits. The Fashion Museum's entrance charge includes an audioguide. There are also tours given by the staff. A discounted ticket is available that gives visitors admission to the Fashion Museum, the Roman Baths and the temporary exhibits at the Victoria Art Gallery. 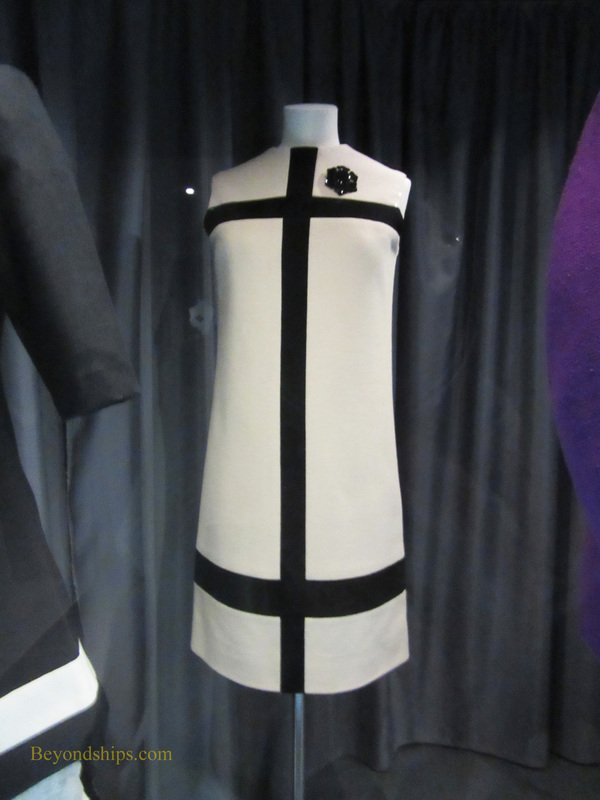 The changing face of fashion from the Georgian era (above) to the 1960s (below).